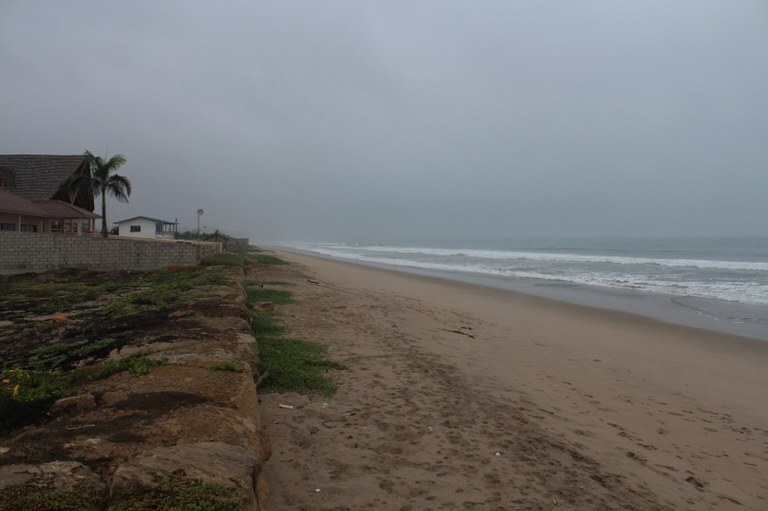 The southern coast offer many choices and land options. Depending on the location and clients desires we can offer Ocean Front, Ocean View, Development parcels and Jungle settings. If you not able to find your dream home we have aligned ourselves with a very good quality builder who can take you ideas and build you home. Most homes can be built in 90 days. This calendar year we have had five houses built for clients and all were very excited to see the final product. Just let us know how we can help. Careful thought and consideration has gone into providing an unbelievable place to call home. Developers were careful to weave the roads through the jungle settling leaving 3 hectares of Prime Green Space untouched and in it's Natural Setting. Lush Jungle Vegetation for you to explore and enjoy. This property just released to the public is sure to be popular with those environmentally minded buyer who crave a Tranquil Environment and want to be one with nature. The property is only 6 hectares and will feature paved and lighted streets, an artificial lake, social area, BBQ,Gardens, walking trails, swimming pool,jacuzzi, sauna, steam room, and security gated entrance. Financing is also available with 50% down and 12 monthly installments. Also further discounts for all cash buyers. Hurry and choose your prime lot now. Very competitive pricing on Custom Villas & Suites. Vista Mar- Grand Opening to the public. This is a very unique chance to be a part of something very special. Paved lighted streets, Security, two social areas, pool, sauna, steam room,Events location, artificial lake,walking paths all nestled in the lush jungle vegetation. Lots range from 500m2 to over 1200m2 and at these prices you may as well buy two. Gated entrance for your protection. 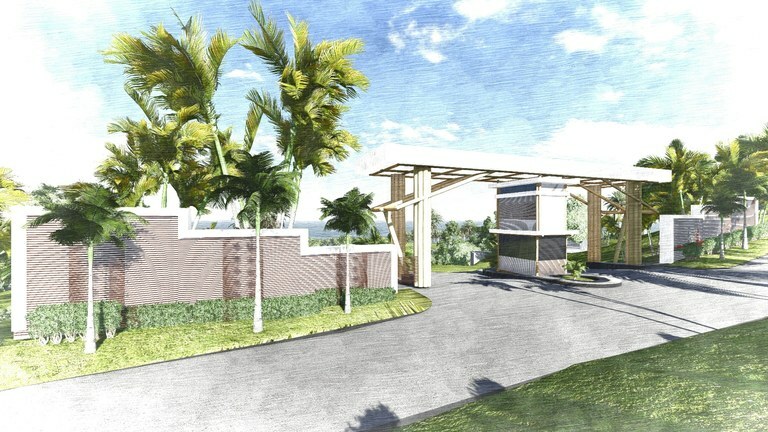 Vista Mar is a very unique Master Planned Community with Majestic Ocean Views and Lush Jungle Vegetation. Now offering lots ranging from 500m2 to over 1200m2. We are currently offer Grand Opening discounts and first choice of lots. Community offer custom built Villas, Suites and homes designed and built to High Standards and affordable prices. With a total of 6 hectares this private complex has all services, 3 hectares of green space, gardens, Large social events location, swimming pool, jacuzzi, sauna, steam room,and BBQ area. The lower portion of the property will have an artificial lake,social area and walking paths. Concrete paver streets with decorative lighting. 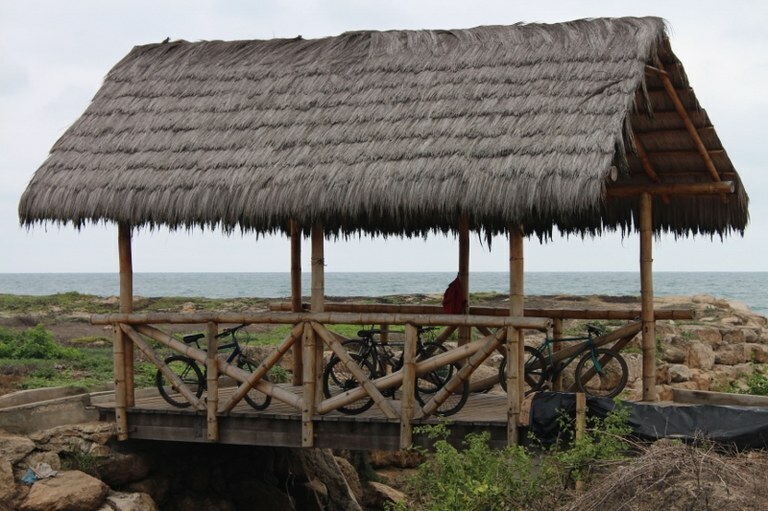 Property is located just 10 minutes from Montanita Ecuador's Surfing Capital. The Only Place You Will Get Lost in this Small Subdivision is on The Beach as you Walk Mindlessly for Hours Just Taking it All In. We have just released these two lots and they should sell fast. The quality of homes being built give you the security that your investment is safe. Just accross the street from a very beautiful beach that is miles long and great for walking, jogging, Boggie & Surf boarding, and just soaking up the warm Ecuador Sun. This really is Paradise-Come see for yourself. As you enter Paradise Point the first thing you will notice is the lighted brick paved streets. The second thing you will notice is the quality of homes being built.Imagine yourself waking up and deciding you want to take a stroll on the beach - No Problem Here as just over the covered bridge and yoru at the walking path to the beach. Must be all of 1 minute to toes in the sand. Then you can stroll down a very long(miles) of wide white sand beach and then be back in time for breakfast. Life is pretty rough here at Paradise Point. If you happen to get tired of walking miles of beach, the surf break is very nice so you can grad your board and hit the surf and then make it 10 minutes up the road to Montanita and grab lunch. These lots were just released and the only lots currently available. We have two lots- # 109 is 802.22m2 and lot# 108 is 840.92m2 and they are priced to sell. Come see why they call Paradise Point but do not wait to long. Once in a great while opportunity knocks. 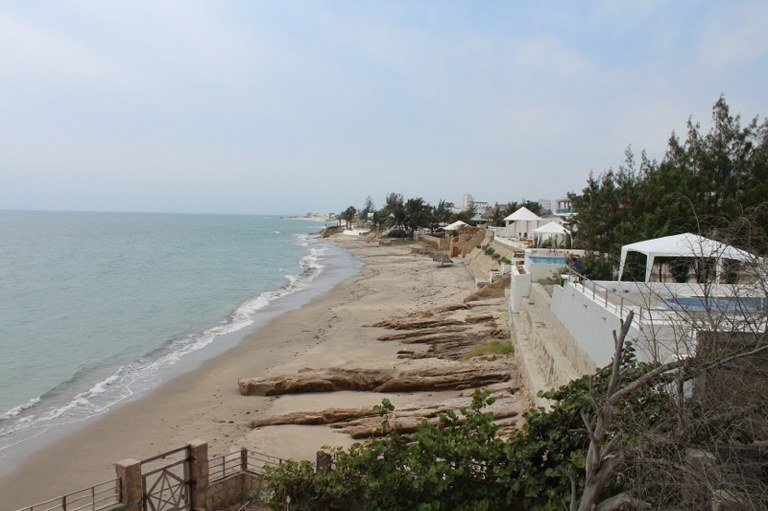 Own a beachfront development parcel in Puerto Lopez complete with Plans & Building Permit.This property is an excellent buy without the development potential. 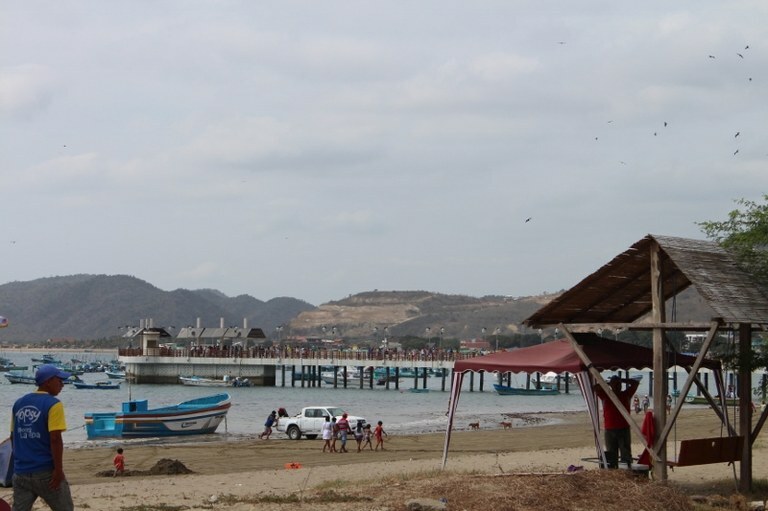 Puerto Lopez is currently undergoing $8 Million dollar makeover funded by the Central Government. Four kilometers of beachfront and the water front malecon are well under construction and they are shooting for a December opening. 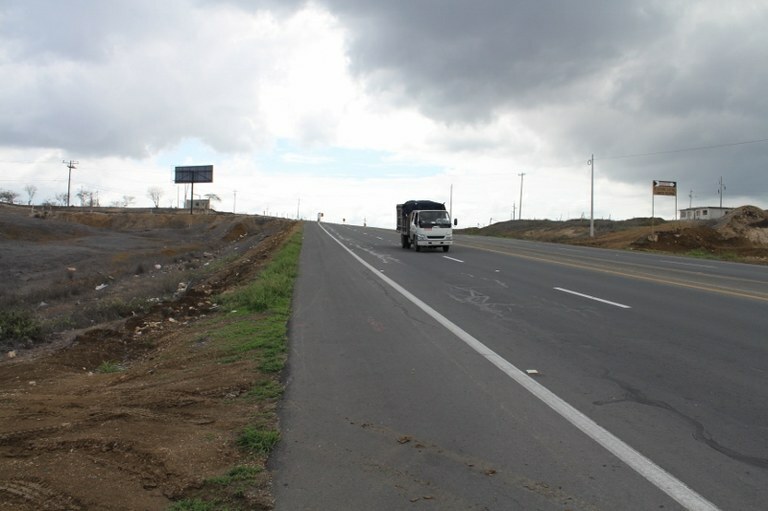 This will totally change the face and landscape of Puerto Lopez and make it even more of a destination. Please serious inquires only. This parcel will not last long. 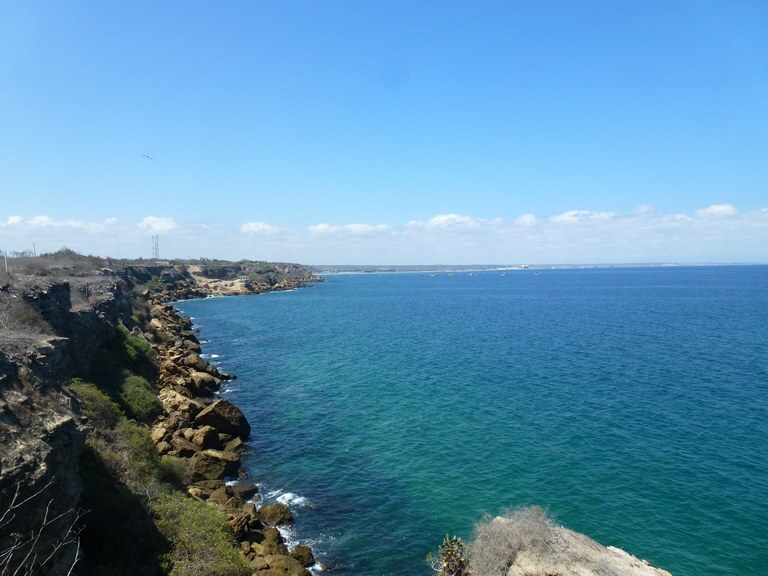 Exclusive Ocean Front Property: Exclusive property surrounded by High End Homes. This is the only ocean front parcel available in this area. With over 9,000 mt2 of land. 3,000 mt2 can be purchased separate. Excellent main Hwy Road Frontage that is flat at the from and then gradually turns into rolling hills. Fantastic Ocean views for the hill tops. Lobster Bay is a very special place on the coast of Ecuador. On a sunny day when looking down upon the horseshoe bay you would swear you are in the Mediterranean gazing across a sleepy fisherman's village below. The beach has calm waters and is excellent for swimming or exploring the rocky edges while snorkeling. You can walk down the concrete stairwell to the beach for a lobster lunch for less than $10...with a cold 22 ounce beer included. 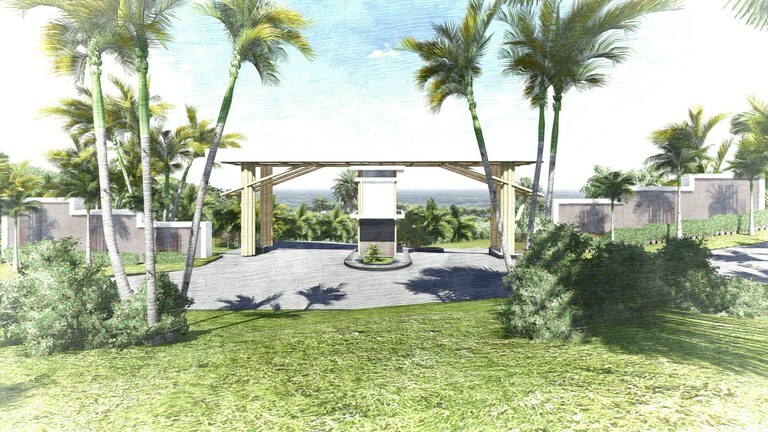 We have only 4 lots left in Lobster Bay's gated community setting. There are a total of 24 lots and 8 of them have homes already built. Others are on schedule to begin construction this year. The lots are large and come with water and power to each lot. Lots are a minimum of 1,000 square meters (1/4 of an acre) up to 1,500 square meters...over a 1/3 of an acre. Prices vary from $48,000 to $56,000 depending on the view from the lot and it's size. All lots have an ocean view. The neighboring project has prices nearly twice what we have listed here and is a MUCH larger project (meaning LOTS more people). Our community is gated and secured. We are also offering connections with our qualified builders to assist in the construction of your new home if you wish. Homes can be completed within a 3 to 6 month time frame depending on the size of the home. Custom homes can be built from $65 a square foot. 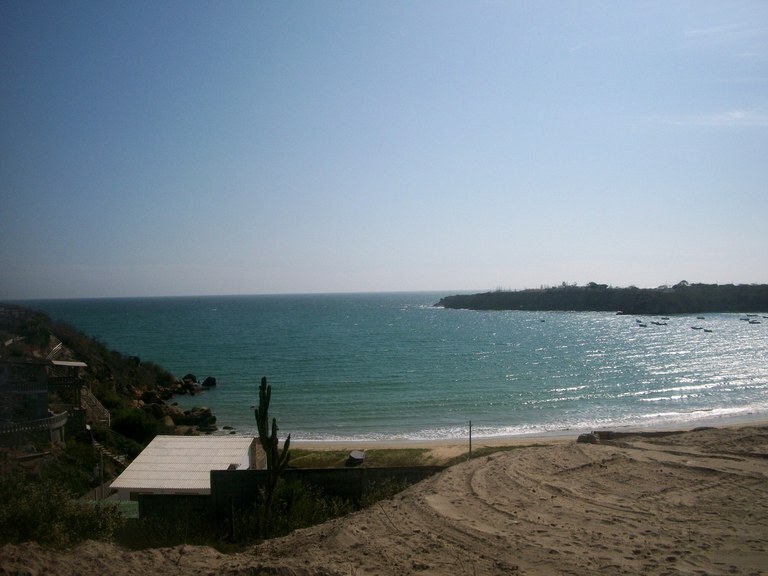 Playa Rosada View Lot....BIG View Lot!! If you were driving the Ruta del Sol (think Hwy 101 in California...without all the traffic) just north of Salinas you would never even know this place existed until you take the improved road out to this stunning location. This large lot is waiting to become a huge family compound, home project or resort. 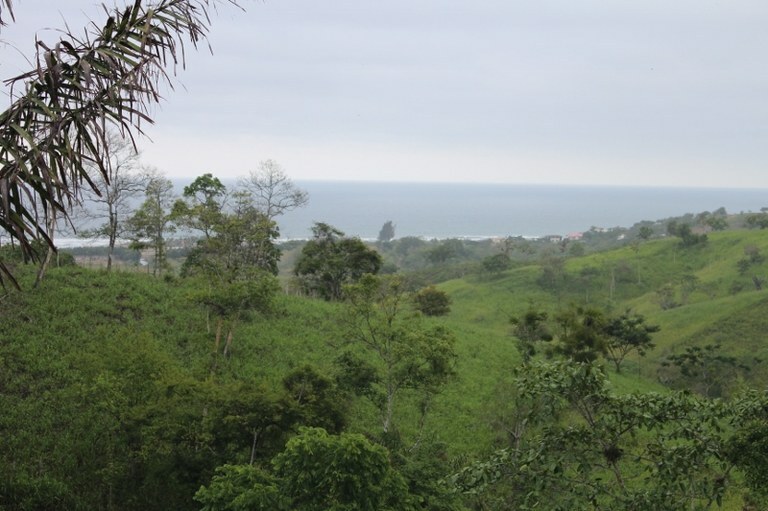 It is one hectare of land (2 1/2 acres) and is perfectly square at 100 X 100 meters (10,000 sq. meters). So you have a FOOTBALL fields width of beach view on the bluff...direct with NO obstructions ever to deal with. There is power to the property and this would make a stunning project for someone or just one BIG private residence if you wanted your privacy. Playas Rosada's beach is just around the corner down the road by 10 minute walk (minutes in a car). Use your imagination and the possibilities are endless. If you did a project here your net return would be WELL over one million dollars easily. We can put you in touch with talented contractors that can make that happen or "Do it Yourself" and keep all the profit. Reliable Honest Professionals is what to expect from Ecuador Home Sales. I have over 16 years experience in the USA with Coldwell Banker and now located in Ecuador. I am the proud owner of Ecuador Home Sales and strive daily to be the best on the coast. We are accustomed to providing the same high quality, prompt, and reliable service that you are accustomed to receiving in the USA, Canada, and worldwide, always keeping the client's best interest in mind. What sets us apart? We have worked very hard to build relationships with almost all agents along the coast so we are able to show a multitude of properties. We consider ourselves as a one stop shop for all properties along the southern coast. We show other agents' listings as well as our own to help all sellers and for buyers to get a real picture of what is available. We look forward to helping you find your own piece of Paradise. © Copyright 2017-2018 by Ecuador Home Sales. All rights reserved.